A few months ago, I had the privilege of working with a local family to design and paint the tail fin for their new "old" windmill. 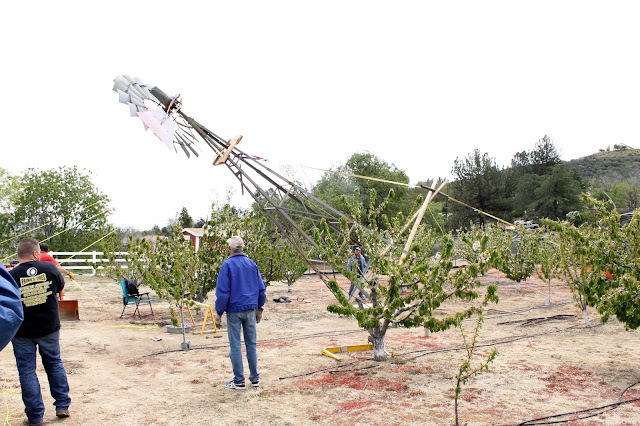 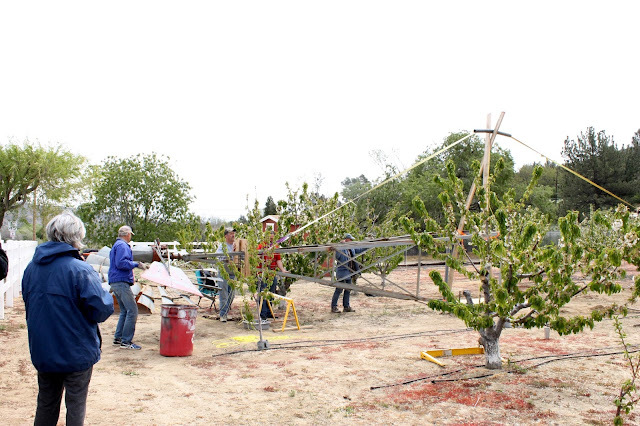 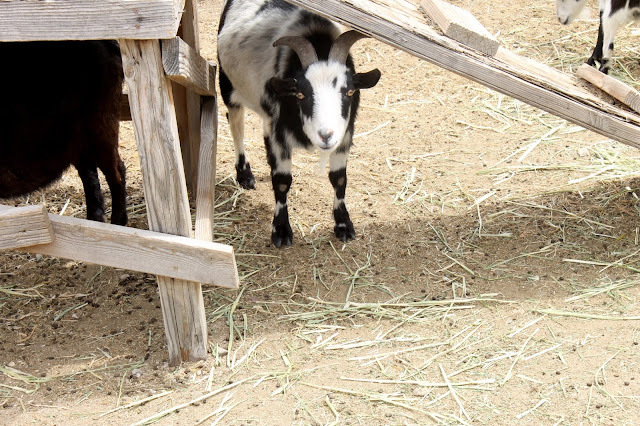 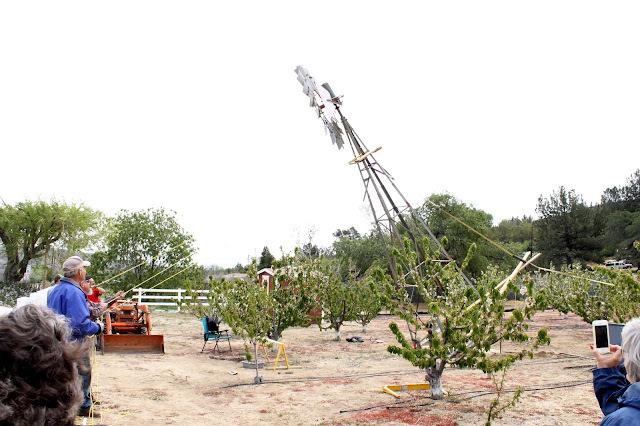 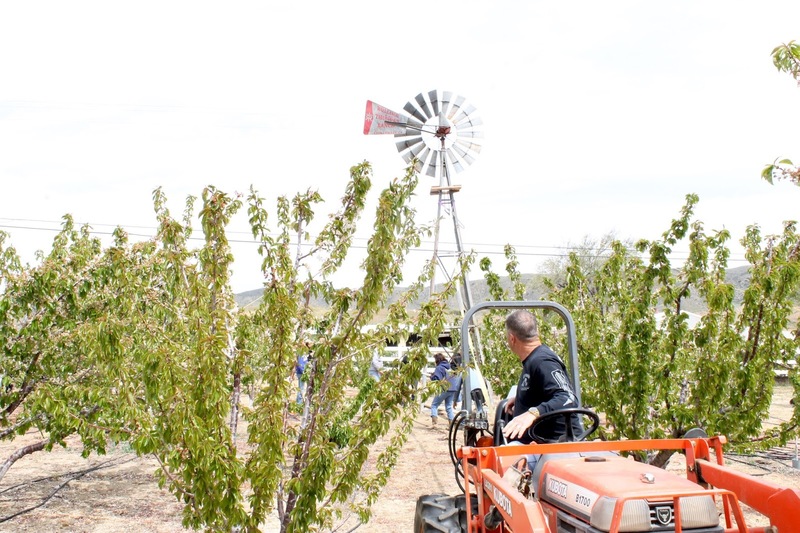 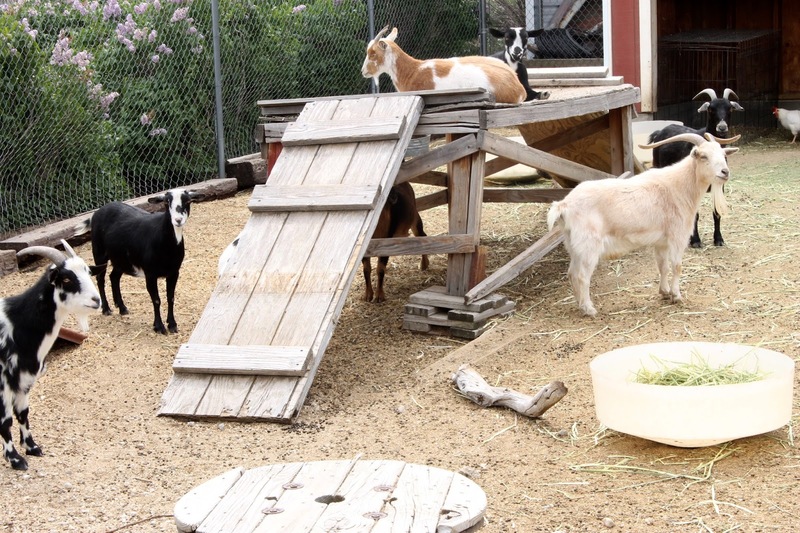 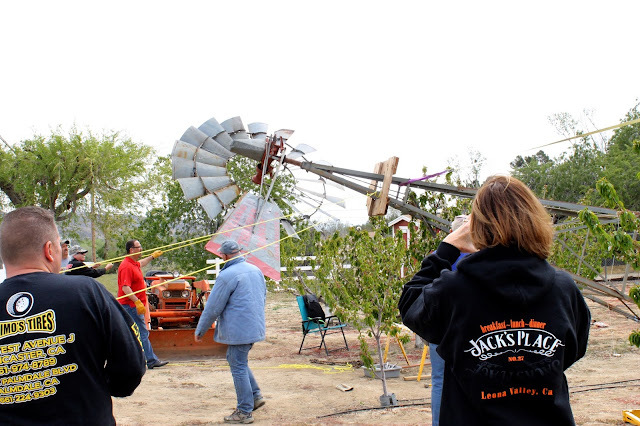 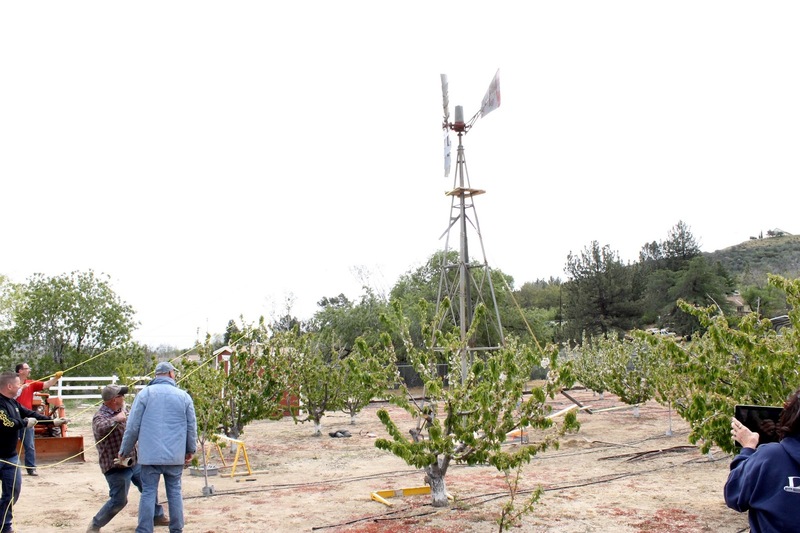 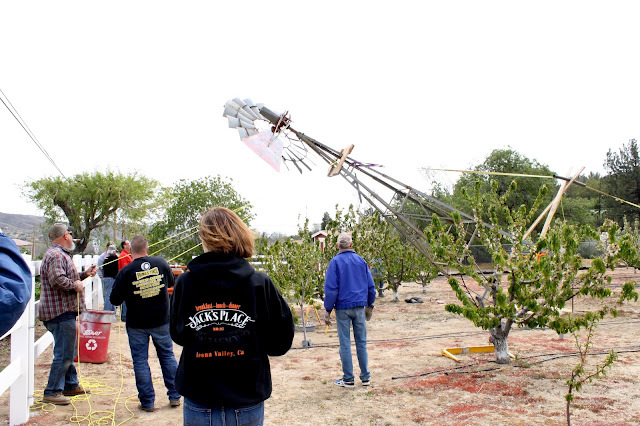 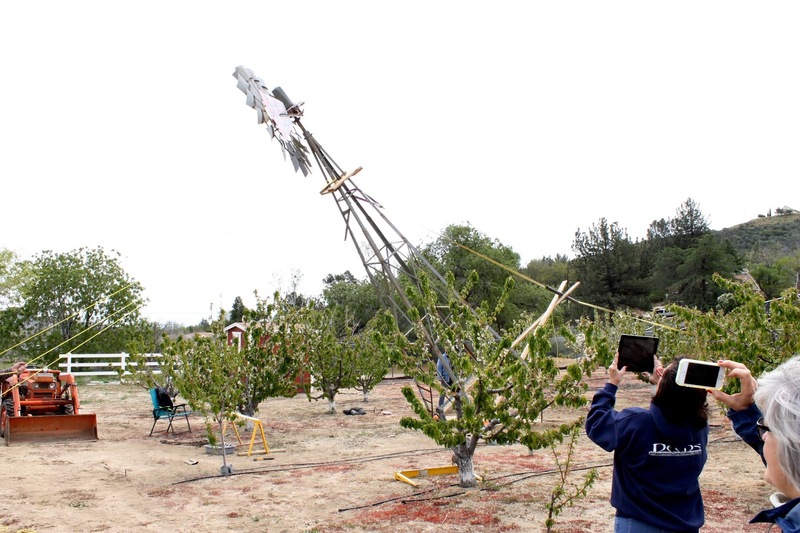 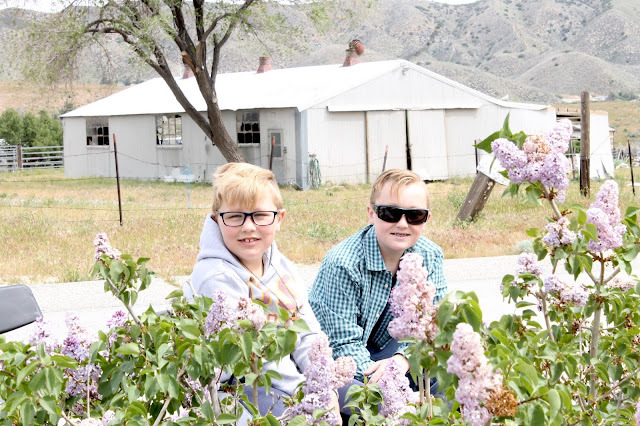 Rolling Thunder Ranch is a local cherry orchard and lilac farm in Leona Valley with a lot of character and charm already, but the installation of a vintage windmill is the "cherry" on top! 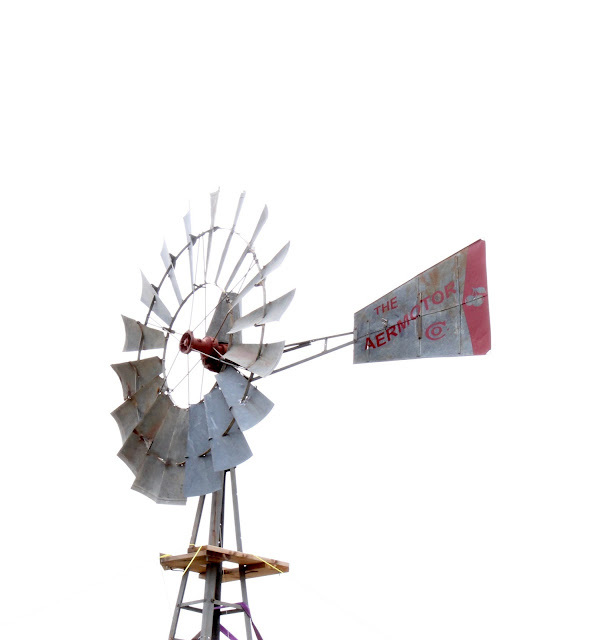 It was a fun process as we worked through the various stages from designing, painting, revising, and installing the windmill. 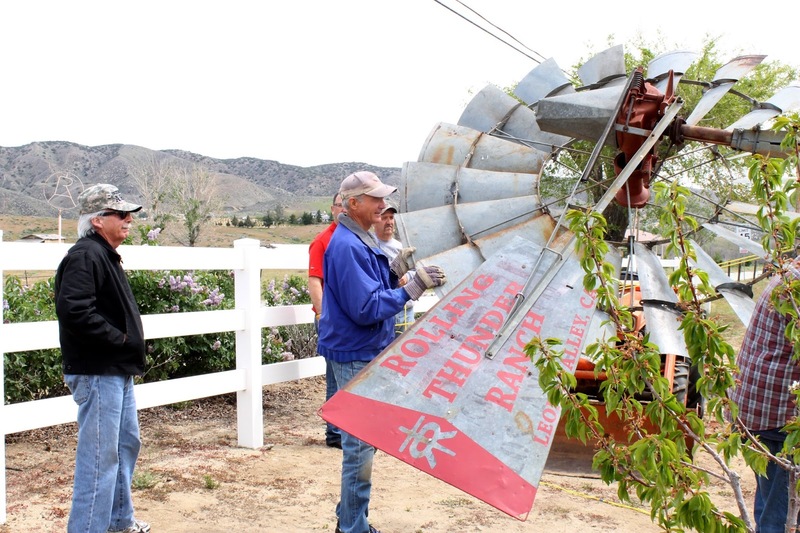 Seeing the remnants from the previous lettering on this tail fin that spent some time in Los Angeles adds to the history/story of this windmill. 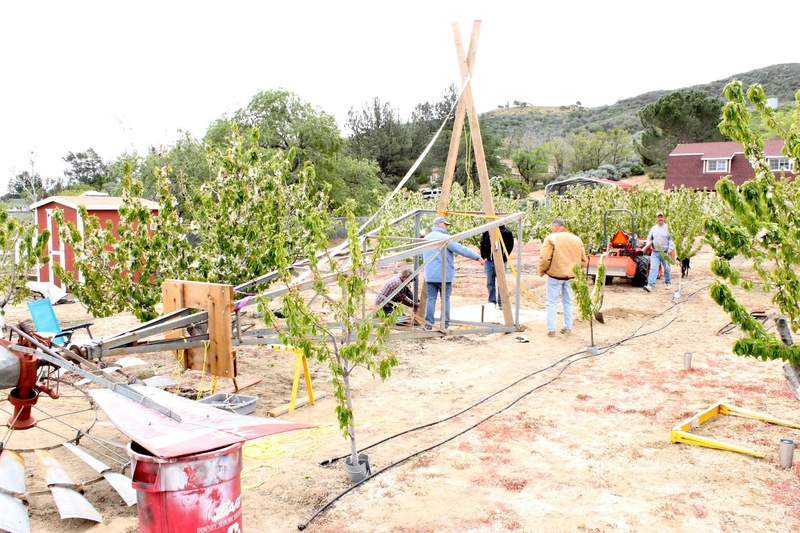 Here are a few photos from the day of the installation. 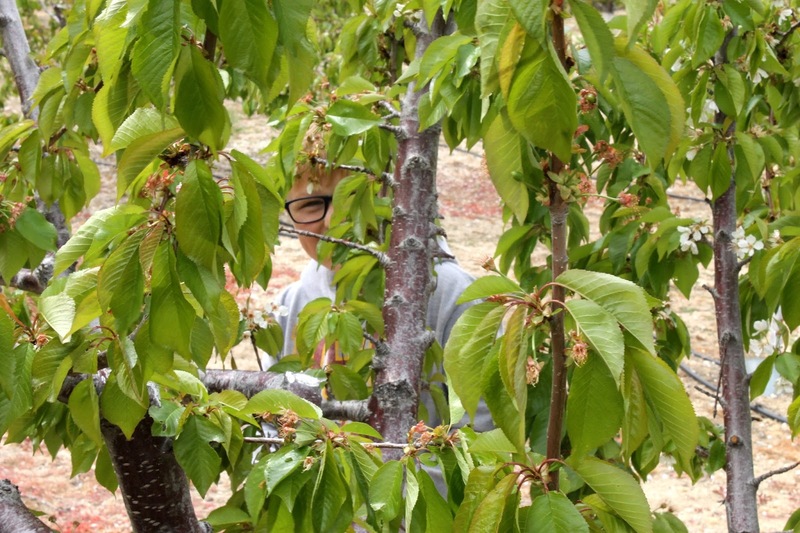 If you'd like to see it in person, the cherries will be ready for picking this week! I'll also have a few painted windmill blades for sale at their cherry stand. 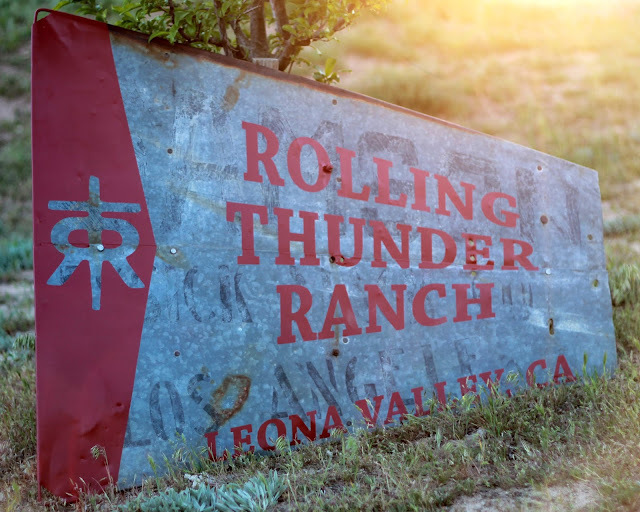 Check out their Facebook page to keep track of when they will be open. 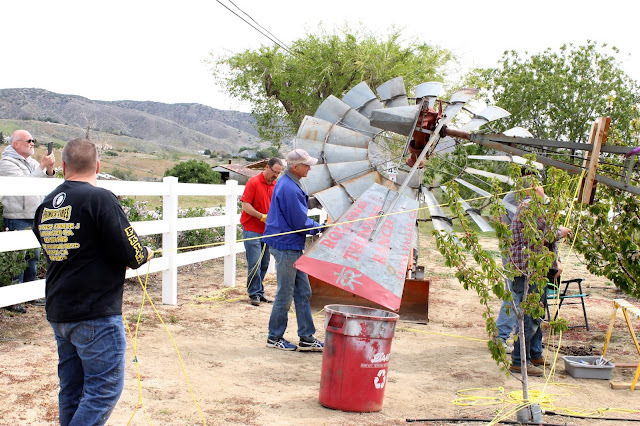 The windmill getting prepped for install. 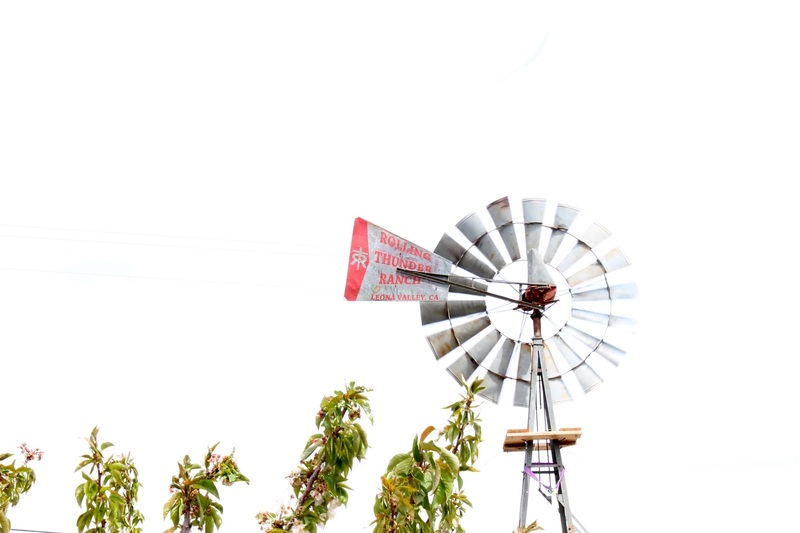 My boys with a front row seat to watch the windmill go up. 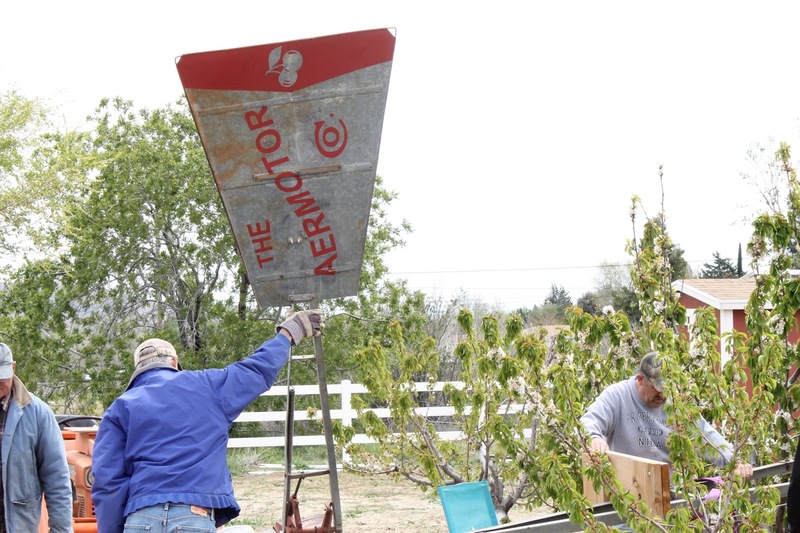 "The Aermotor Co." painted on one side & "Rolling Thunder Ranch" on the other. It was an exciting and rewarding day as friends and neighbors came together to get the work done. See you at the orchard!